I've been looking back on a year's worth of posts and it is amazing to me how much math my daughter and I have done, both individually and collectively. 2. Beading Attributes: Pattern, Color Shape, Size and...Straws! 3. 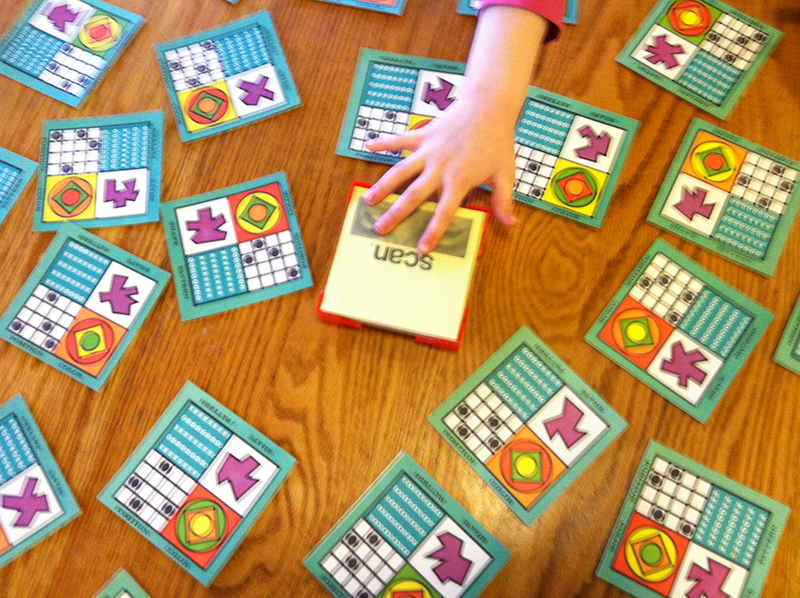 Is it Cheating to Use the Multiplication Chart? 4. 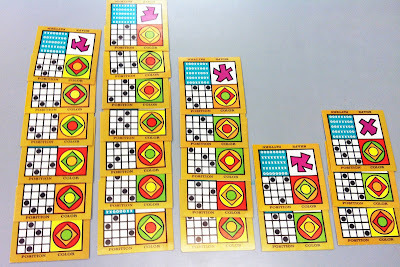 New Math Game: Factor Dominoes! 10. Math in Action: Catapults! The reality, I'm discovering, is that math is just like that elephant: a large, expansive, three dimensional, intelligent, sensitive, expressive creature. The problem is that most of us have been standing around in that dark room since about kindergarten, grasping its tail, thinking "this is what math is and, personally, I don't think it's for me". We've been blind to the larger, incredibly beautiful picture that would emerge if only we would turn on the lights and open our eyes. Thank you, everyone, for reading, and huge thanks to the many readers and supporters who helped make 2012 an incredibly fantastic year of mathematical discovery and growth. 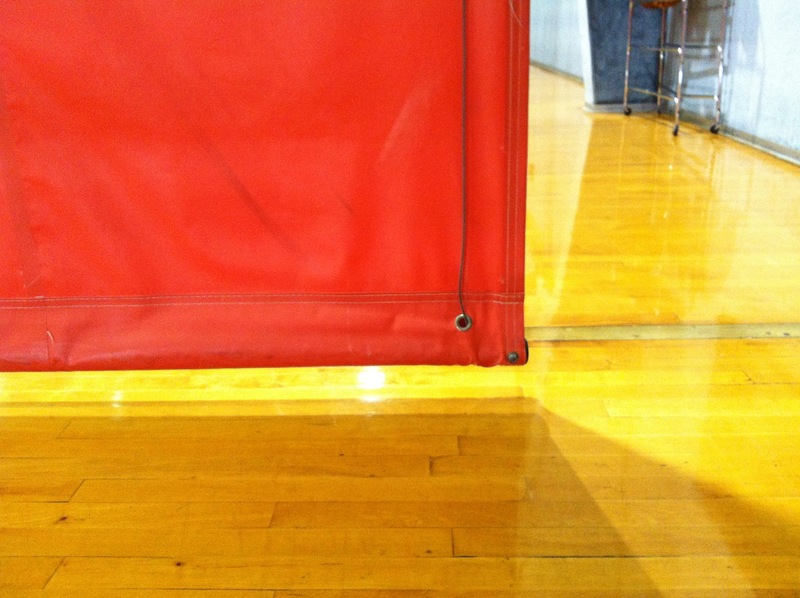 I went to the Y. I came back. 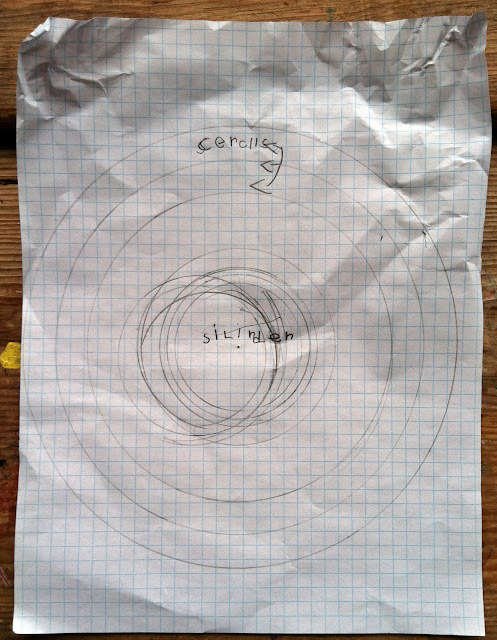 "Look, Mama, I've been discovering things about circles while you were gone." "Oh really? What did you discover?" 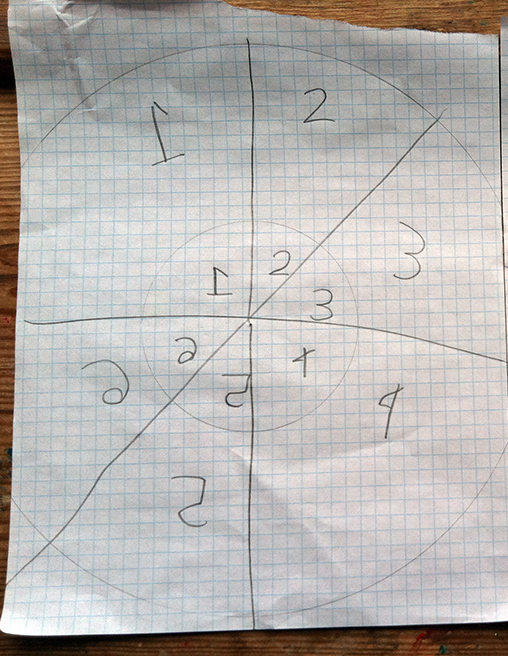 "Well, I discovered that there are lots of ways to divide a circle...and I discovered that no matter how big or small a circle is you can still divide it the same way." "Well, that's very interesting! But what's this?" 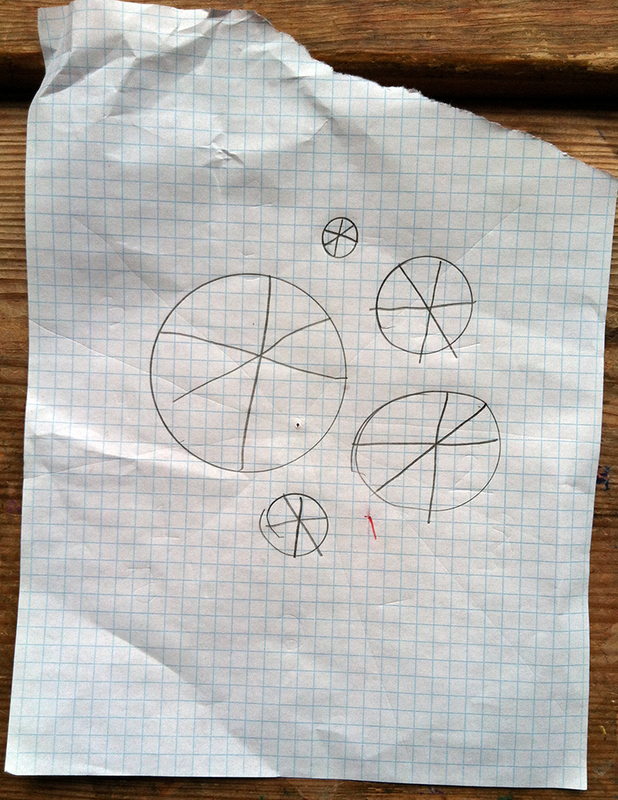 "This is a cylinder and these are circles." "Cool! And what's this one?" 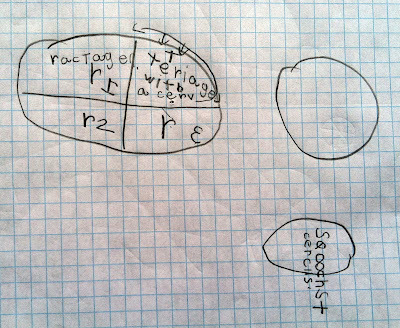 "These are ovals. They're squooshed (sic) circles. This one has one triangle with a curve and the others are rectangles." "Hmmm...I don't think I agree with that. 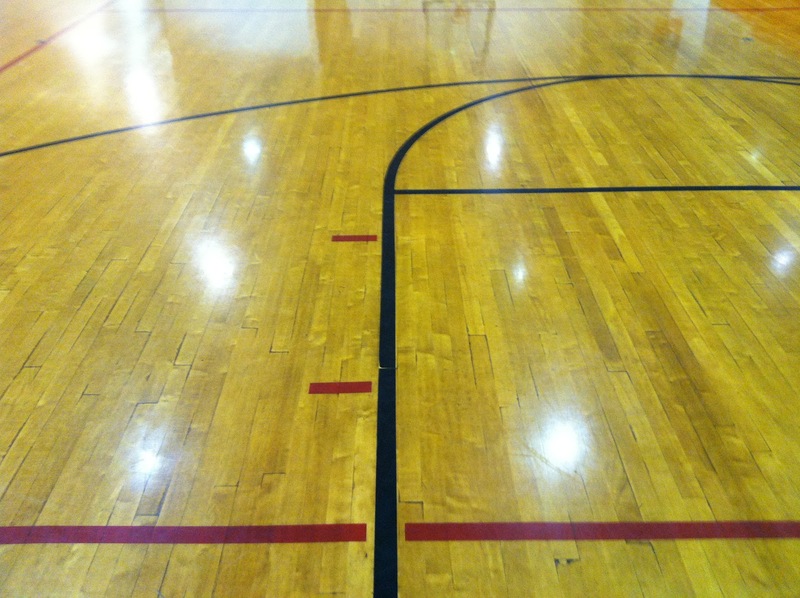 Remember that a rectangle has to have four right angles. That's why they call it a rec-tANGLE..."
I really think that using geometry and shapes to explore number concepts is a strong combination. 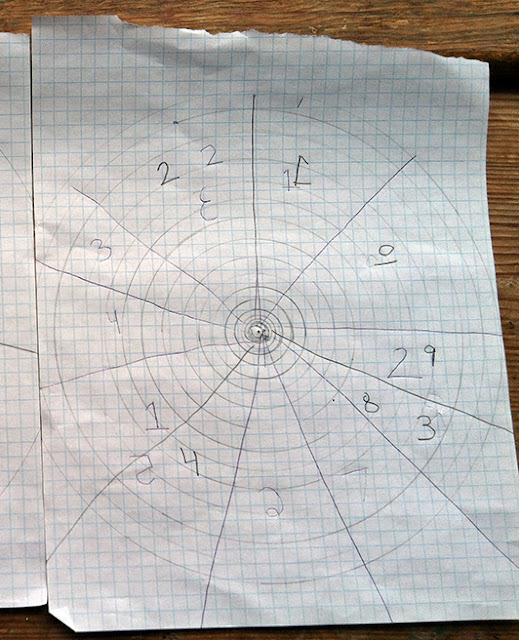 I've been working on a new idea that's sort of algebraic, geometric and numeric all at once. Since the kid seems to be experiencing a post-holiday renaissance I might just be able to finish up the activity with her some time soon. Stay tuned! It's been a wonderful holiday for us so far, capped off yesterday with 12" of snow. Besides our winter wonderland, another part of the wonderful-ness has been an extraordinary confluence of math gifts. Another of my favorite math-y gifts was something unintentionally so. 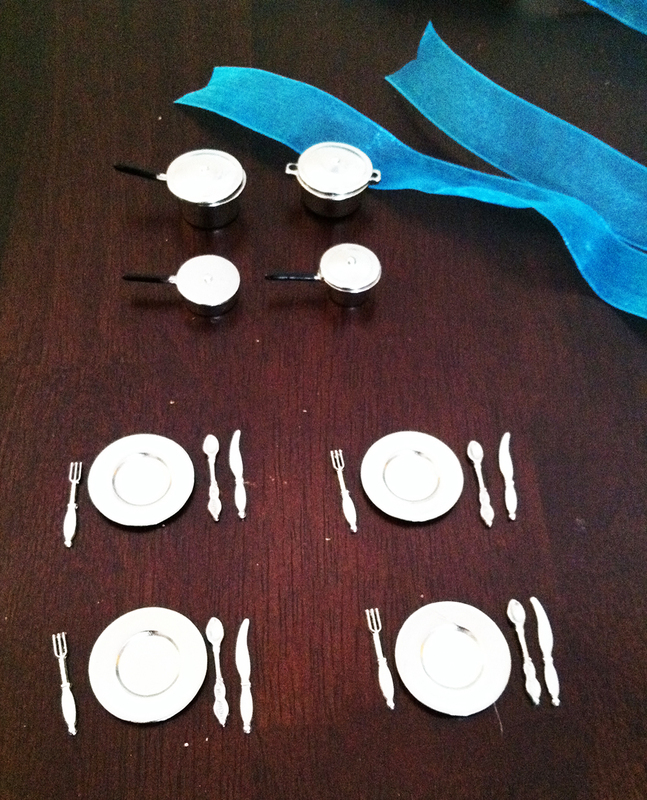 These are some doll house pots and pans and table settings I gave my daughter. As we were eating breakfast we arranged them and that's when I noticed something.. "Look!" I said, "each pot has one lid and there are four pots in all. How many pieces all together? [I modeled skip counting by 2s] And the table settings! 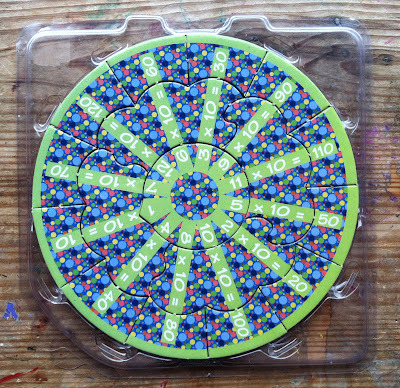 Each set has four pieces. How many pieces all together?" Despite a facility with skip counting and good grasp of groupings and even certain multiplication facts, the child was still skeptical. She insisted (and has been insisting) on checking my work by counting by 1s. I still thought this was an excellent present for math, though, especially because it highlighted her thinking so clearly. Good thing I have Amanda Bean's Amazing Dream on the bookshelf (you know, the girl who is great at counting and doesn't want to learn multiplication until things get too numerous and hard to count by 1s). Another great gift was one from my my mother -- a wonderful little felt board activity in perfect condition that may have been thrifted -- no name, no box. 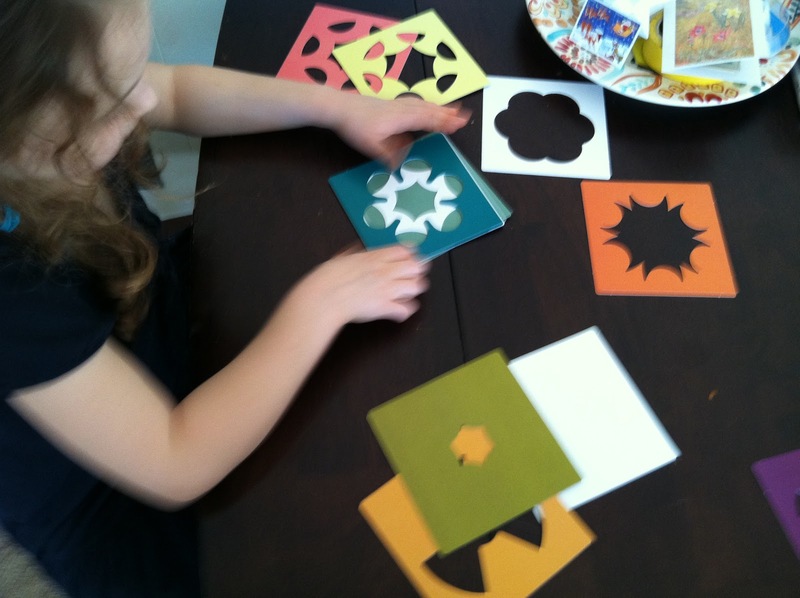 Anyhow, in included right/isosceles triangles made out of stiff felt and a TON of pattern cards with both geometric and representational picture designs. I pulled it out the day after we beat the blizzard home from Ohio as a sort of after-Christmas gift. The girl started to do a card, pictured below, and, again, it was very interesting to observe her thinking, especially how she went about putting it together. My eye goes immediately to the center and I would have built outward; she started with the top left corner and built across. Eventually though, the tired girl eschewed all patterns and decided to do her own thing and I worked on my own card. Here are my favorite pattern cards so far. The top row is a nice study of growing shapes (algebra! 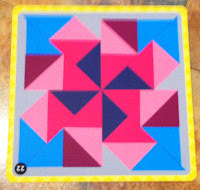 ), the middle and bottom rows are just totally cool (the yellow mixes in with the pink -- use your light orange shapes!) and look at all that negative space! 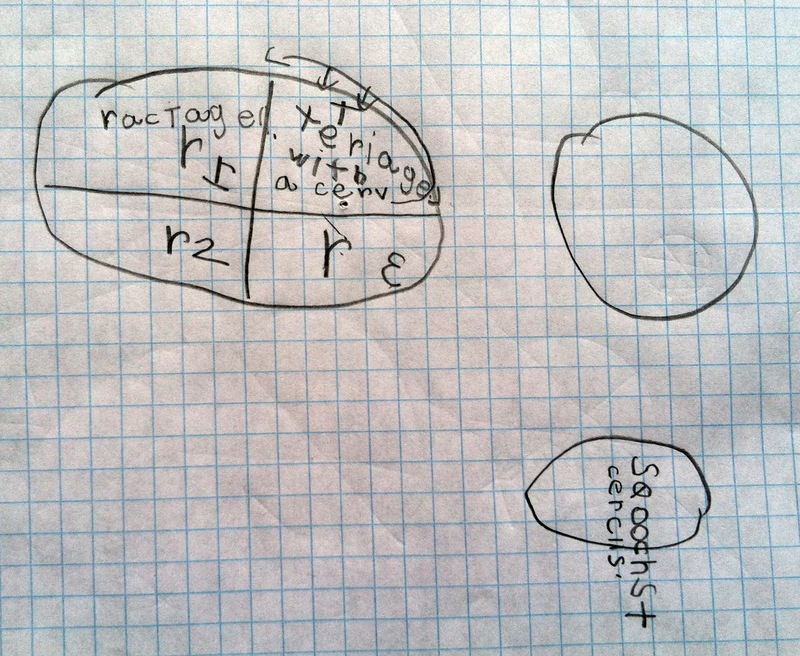 Here's some math we gave instead of received. 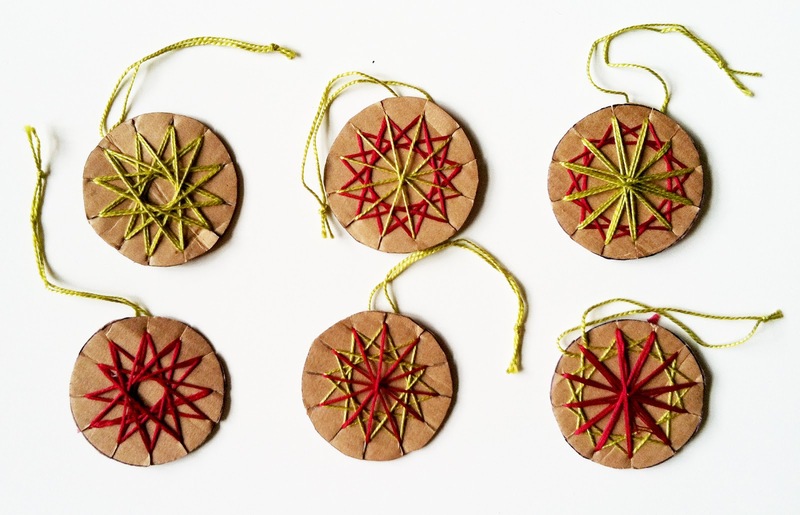 I've already written about these mathematical star ornaments, but the reason we made them was to give as presents to all our friends. The ones below are mine, but my daughter made over 40 of her own (in a different color theme). I also made our holiday cards out little paper squares folded and then transformed by scissors as detailed in a post from the summer called Transformation. The Kaleidograph Toy (Flora and Crystal) were supposed to be mine, but who am I to argue if the kid wants to use them too?! And then there's the moment all the math stars aligned just right and the book on Roman mosaics arrived just when I needed it. 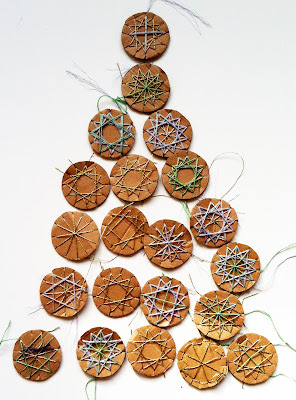 All told, a very math-y holiday, indeed! And, here are best wishes for a very Happy & Math-y New Year, a little early, to all my readers! I've been experiencing some serious math kismet recently. I rediscovered a thrifted book on 16th century mosques that I bought to read with my daughter. We got part way through and I remembered what I was really interested in were Islamic geometric tiling designs, which spurred me to the library where I found an awesome David Macaulay book about the construction of a fictional 16th century mosque. But still no leads on tiling designs. "These geometric patterns radiate symmetry and order. Drawing the patterns is not just a question of mechanically copying the work of someone else square by square, but of understanding the underlying structure. 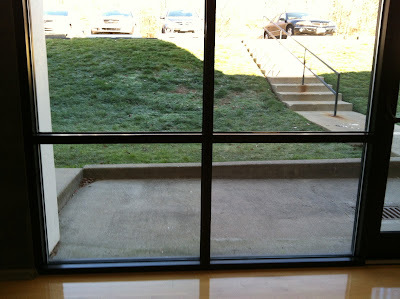 These patterns are built up from simple elements which seem to 'grow' and develop in an almost organic or living way." Perfect. 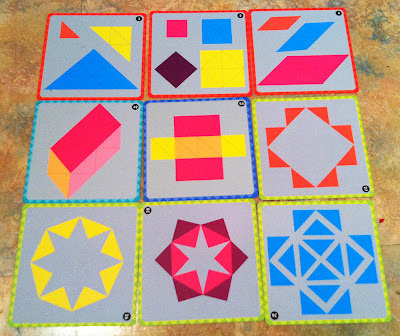 As I looked through it tonight I realized that some of these designs would be great inspiration for the mathematical paper weaving I've been exploring, and other designs would be perfect for the non-quilting paper patterns activity I developed this summer. 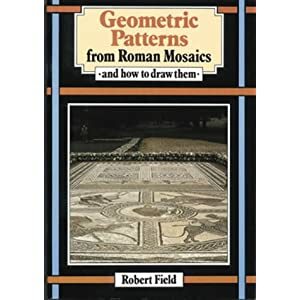 And, to top it all off, when I looked the book up I found that there are other books by the same aut﻿hor on the topics of geometric patterns from tile and brickwork, churches and cathedrals, patchwork quilts AND Islamic art and architecture which, it turns out, was heavily influenced by the geometric designs of the ancient Greeks and Romans. So, really, if you think about it, the very most perfect book appeared at the very most perfect time. A Leap Frog talking globe, like-new, retailing for $350; I paid $4 and the kid learned her continents and is onto countries, plus she makes up her own dances to the 'music of the world' option. A sturdy elementary microscope with three lenses and swivel eye piece, like-new, retailing for $160; I paid $5 and, although we haven't really used it much, I just know it'll come in handy at some point. We also get a lot of great science, social studies, history and art resource books at our library's resale bookstore. 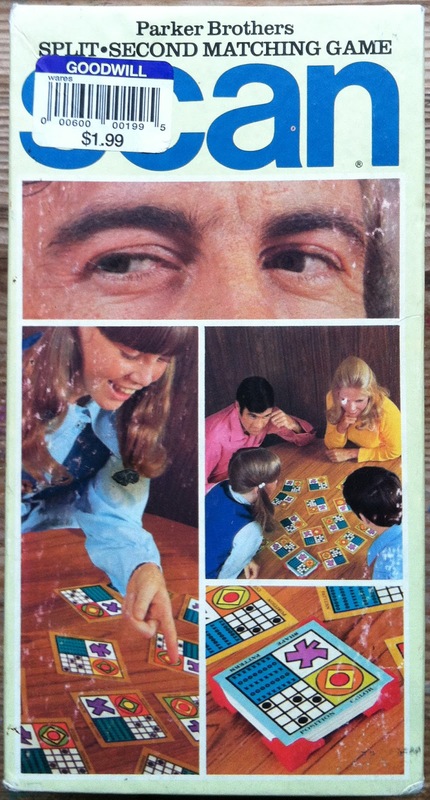 And, just a week or so ago I found two old math games at Goodwill! 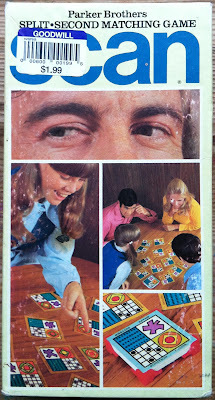 The first one is Scan, a "split second matching game" from the 1970's. I found a comparable version it online offered for $50. I got it for $1.99 and we've already had a ton of fun with it!!! When I saw it on the shelf I immediately recognized it as mathematical in some way. 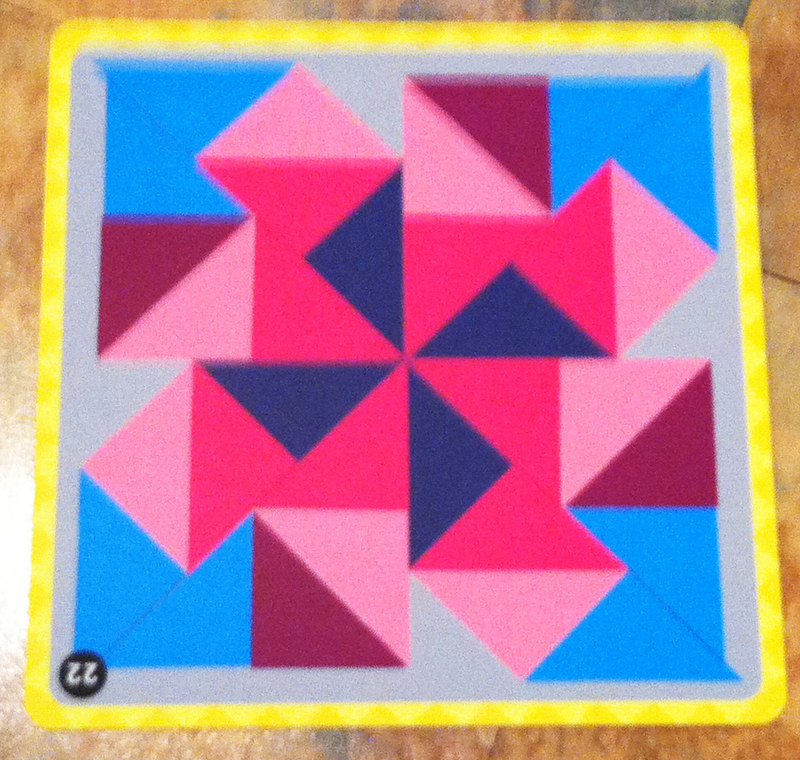 There are four categories on each card: color (square, circle, square, circle), position (four black dots on a 4x4 grid), pattern (different combinations of x's and o's) and shape (various irregular purple polygons!). I went online and found the directions and was relieved to find that you only have to match one category on the center card to a card on the table to win the round. The box said it was for ages 9 to adult, but I decided to try with my 7.5 year old. Initially I thought maybe I'd have to half-size the deck for the first few games so she'd have a chance to get the hang of it but for some reason I put out the full deck on our first game and, what do you know, she beat the pants off of me! ...which, incidentally, are not in any particular order around the ring, which is a great feature. When you've placed all the pieces you flip it over to see if you got them right. If you did, you have a picture that makes sense. If you didn't you have a good giggle about the parrot's beak and wing being in the wrong places and try again. I'm not that big on drilling math facts, but I thought it'd be interesting to try and a nice addition to our other work even at the sky high thrifting price of $4.99. 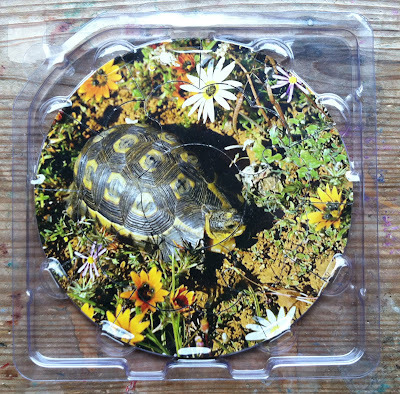 What do you know -- the puzzles are fun! 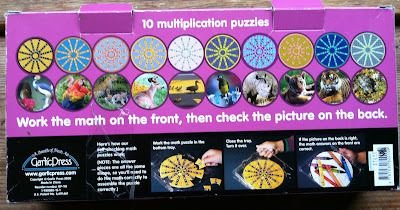 My daughter has only done the 0, 1, 2, 3, 4 and 10 times table puzzles so far but she's motivated to do about one per day. 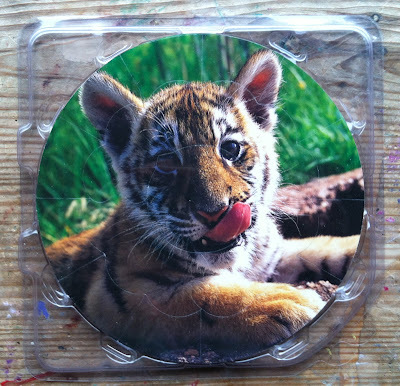 I mean, who wouldn't want to solve your 8 times tables if you got a cute little tiger cub at the end of it?! You use the same procedure to solve each puzzle, which makes me optimistic that she'll start developing some reasoning strategies around the skip counting she doesn't already know backward and forward -- like 11 times something is similar to 1 times something. 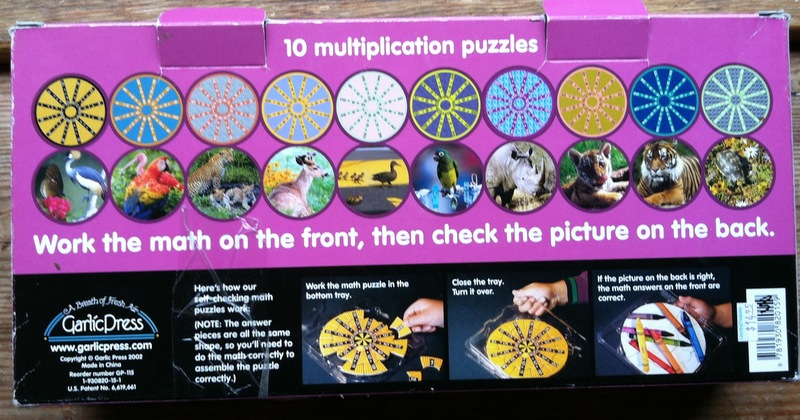 Or, if I do the 0, 1, 2, 3, 5 and 10 times first in any puzzle, the rest are not hard to figure out. The multiplication puzzles might be a little hard to make yourself, but if I knew about Scan and couldn't find the game itself I'd totally make a version myself with my kid or other students! 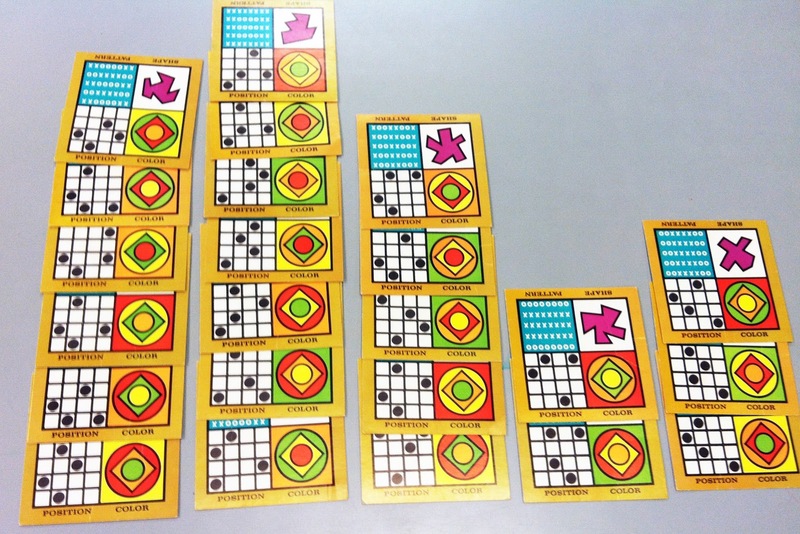 The Scan cards are just four quadrants with a basic concept and pattern rule for each quadrant. Also, you need two copies of each card. to play the game. 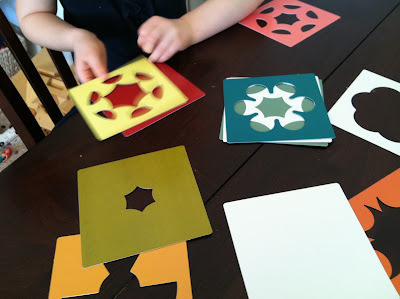 It's essentially a quick-paced matching game for big kids; I think upper elementary kids might really enjoy the challenge of making their own versions and variations. "right angle in real life"
"acute angle in real life"
"[geometric shape] in real life"
A couple more just came in as I was starting this post! I'm never sure exactly what folks are looking for when they use those search terms, but I am always hopeful that once they get here they find what they're looking for. 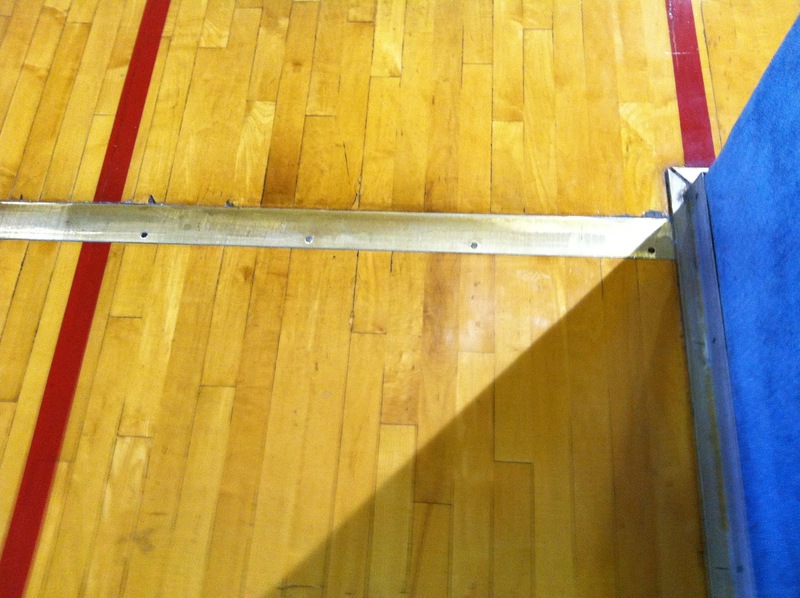 I was thinking about all this when I was at the gym the other day and, as I walked around the track, I started noticing angles everywhere I looked. I had my phone/music/camera with me as I walked so I started snapping some pictures. 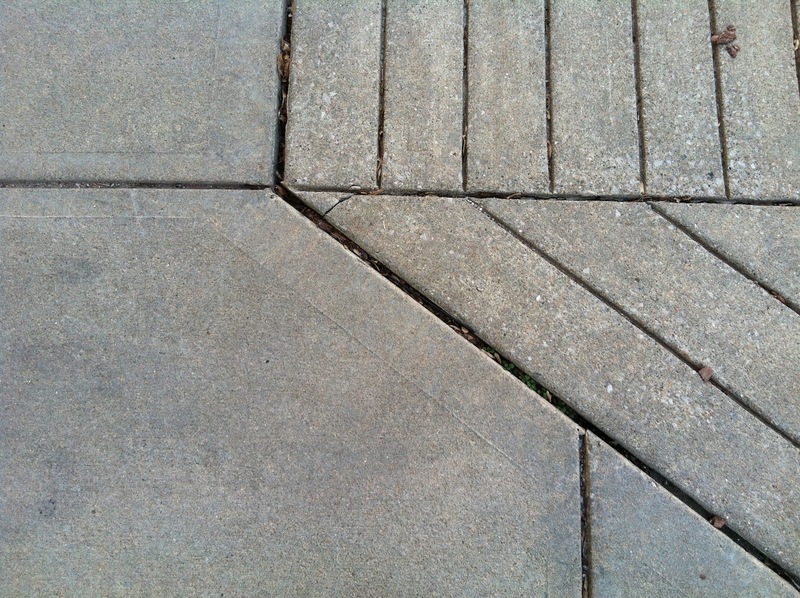 As I looked closer I realized -- you can't have angles without lines. 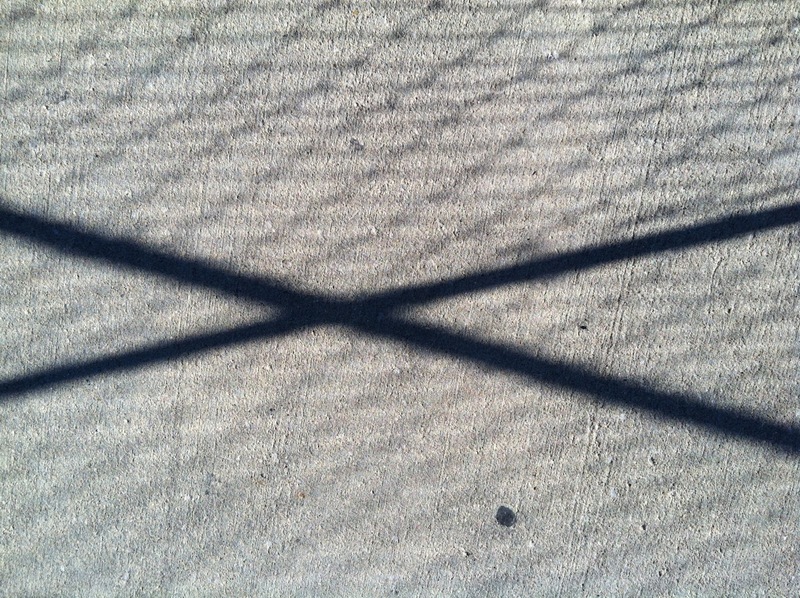 Every time I found an angle I also found a beautiful interaction of two or more lines, with the added enhancement of a sunny day and its inverse, shadow. 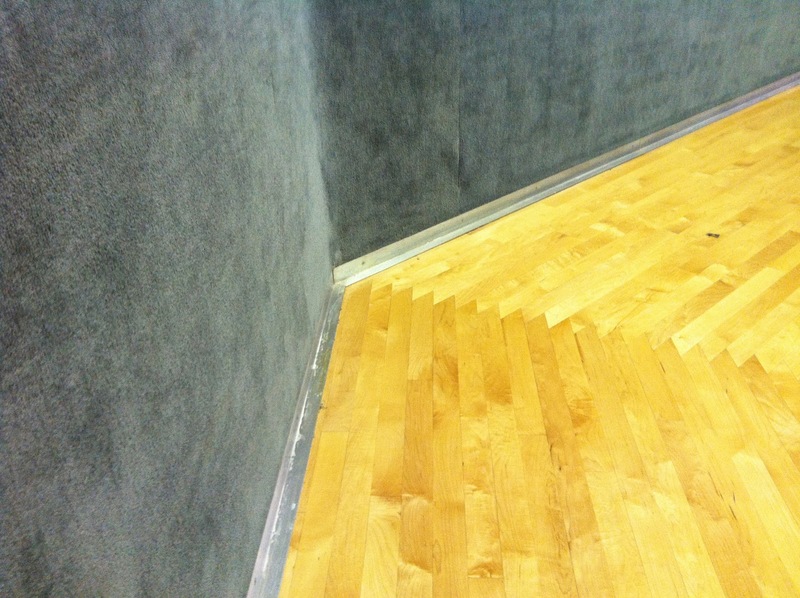 And the basketball court itself! 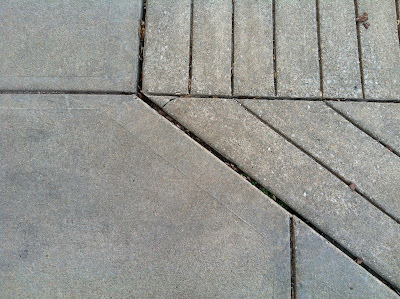 There are a lot of right angles here, and some lines that intersect but don't really make angles. Why is that? But its shadow doesn't! Look at this lovely rhombular patch of sunlight! Two acute and two obtuse angles of winter sun. 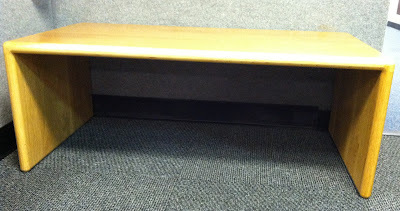 I didn't need a bench to sit on (my workout was basically shot at this point and my heart rate was still barely above resting) but if you do, hopefully you'll find a nice sturdy one made with right angles. 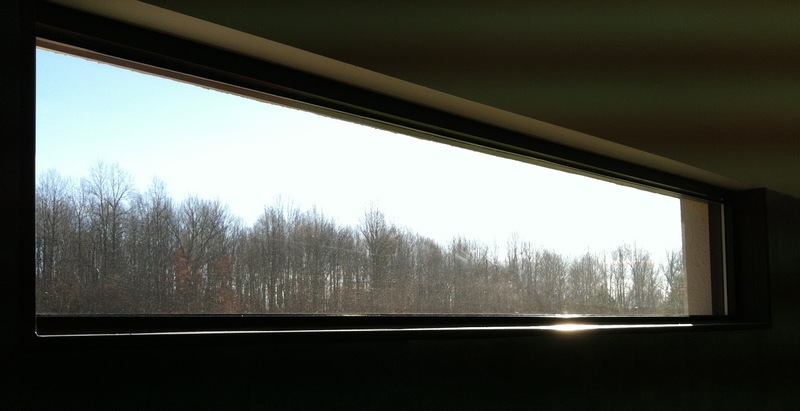 Looking out into the day, the window is divided by perpendicular lines which make right angles. 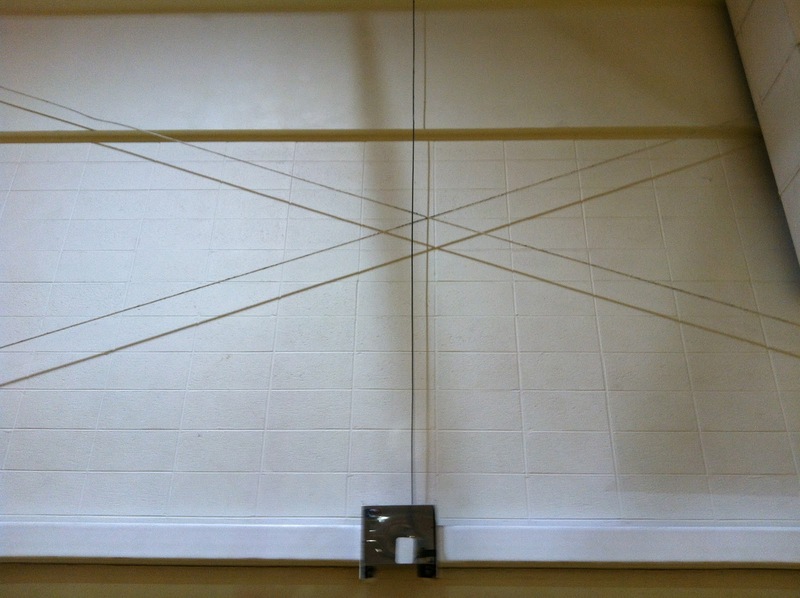 How many right angles can you find in this picture (both inside the gym and outside it)? 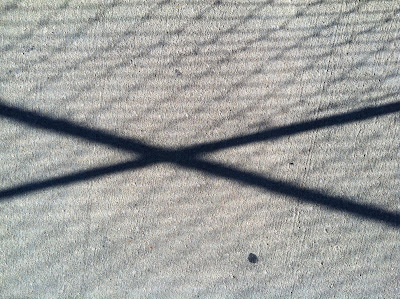 And more lovely shadow angles! This is the big curtain that divides the two sides of the basketball court. 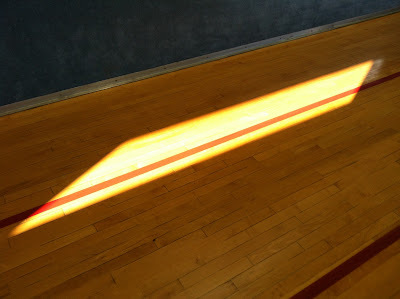 Look at the lovely obtuse angle the light creates! 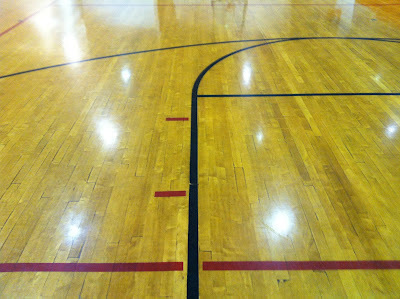 Outside the gym a plethora a lines and angles on the way to the parking lot. Sun and shadow get the final word. I've been doing a bit of virtual housecleaning lately. The Math in Your Feet website is newly and thoroughly updated, and with a new look to boot! While making the shift to the new website I was inspired to formalize an idea that's been brewing for the last year, something I'm calling Math by Design. 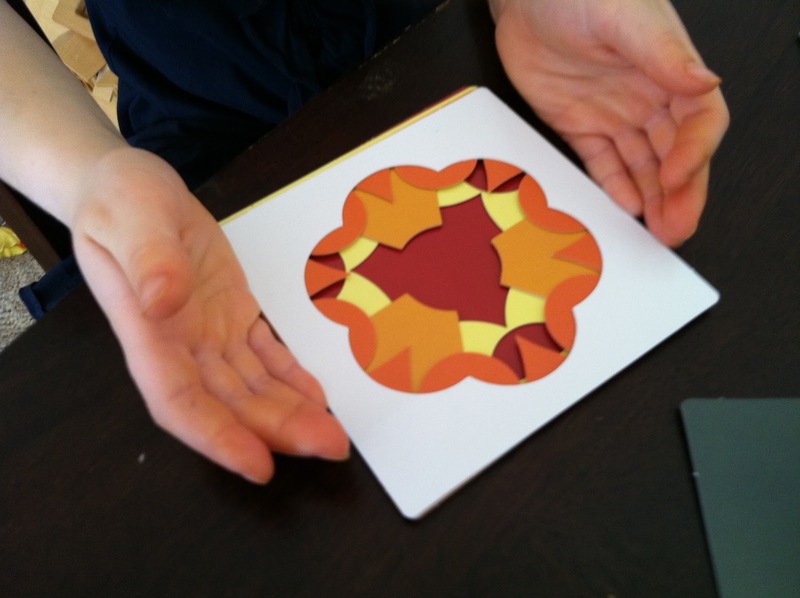 I've realized that all the math and making stuff I've done with my kid, and others kids as well, over the last year is really an extension of the approach I use when teaching Math in Your Feet. 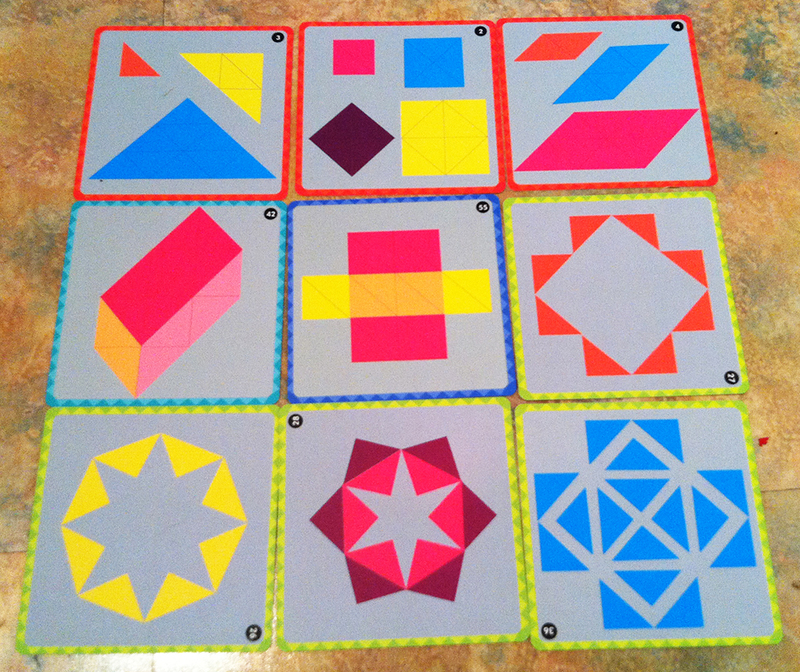 Math by Design: Paper Patterns is a story of one activity I developed for my summer programs but it is also the best description and illustration of the Math in Your Feet approach being applied to a medium other than percussive dance. Finally, I just realized I missed my 2nd blogiversary (back in October) so I'll take this opportunity now to say thanks to all of you who read, subscribe, follow and/or comment in this blog! And, perhaps the Math in Your Feet Facebook page would also be of interest to you as well? It's a pretty fun place, if I do say so myself! I've finally succeeded in bringing my daughter (age 7.5) completely over to the mathematical stars camp thanks to this post at The Crafty Crow called "Woven Cookie Stars." My daughter is (in)famous for knowing her own mind and possessing very firm opinions about what interests her. More power to her, I say, but it's required some flexibility on my part. Over time I've been most successful in influencing her interests when I engage in my own colorful math related projects and 'just happen' to leave some scraps around for her to work with...if and when she so desires. We really haven't done much with stars since late August. I was stalled after a lackluster experiment with 'spinning' stars around nails; the whole thing was just too futzy. But when I saw Crafty Crow's post I knew it was the answer I had been looking for. Mathematically speaking, she's figured out a lot all on her own Her stars are all variations of twelve-pointed stars (12 stars). She started by wrapping thread around the circle, sort of randomly. 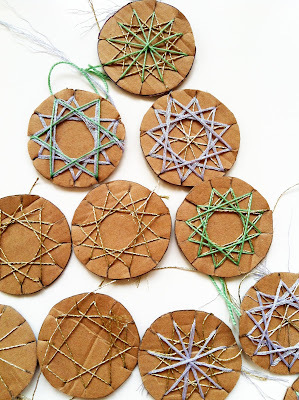 From there she very quickly figured out how to make her favorite star, the six pointed star she calls "the Jewish star" which is created using two overlapping equilateral triangles. She made about twenty of those, and the last ten were completely uniform. I encouraged her to see what would happen if she made two more triangles on top of the 6 star and lo! There was a 12 star that echoed her work in the activity I developed for her, described in the post Stars, Factoring and Patterns. 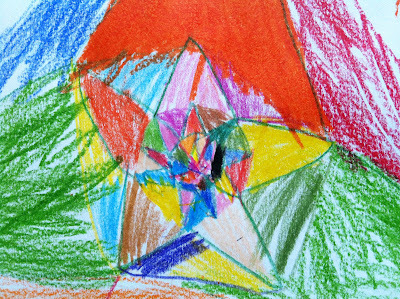 I also encouraged her to try and make an asterisk star and wondered what it would look like if she used a combination of colors. I really wish I had her aesthetic -- her stars are so gorgeous. 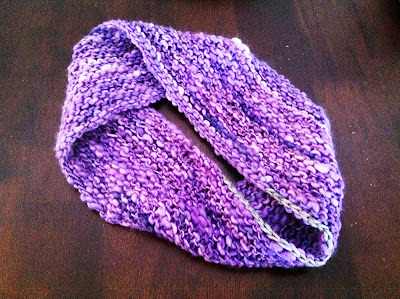 Every time I finished a new version or my daughter tried a new color to overlap the sparkly thread we ooooohed and ahhhhhhed. It was a delightful morning, to say the least. 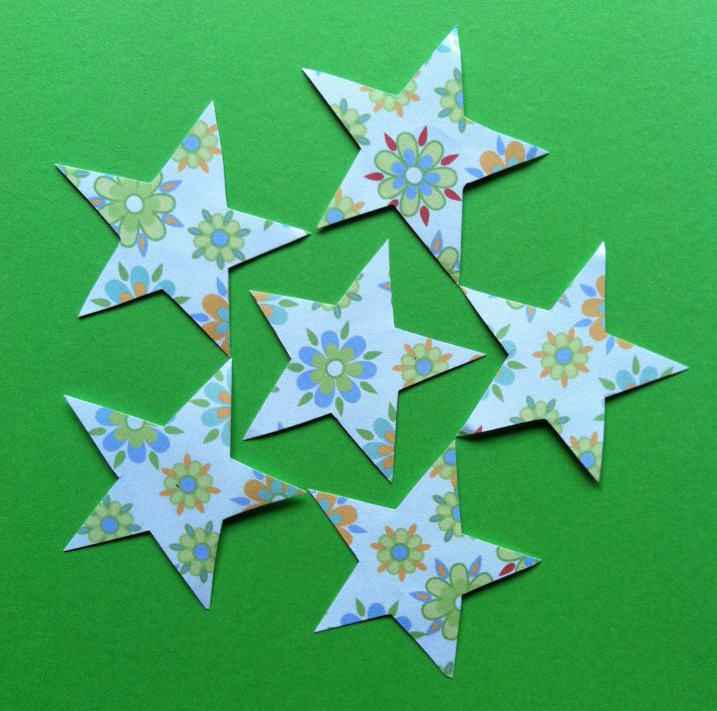 Just for fun, I experimented with a 16 star. A little too busy for such a small space, but I do like the the one on the left. 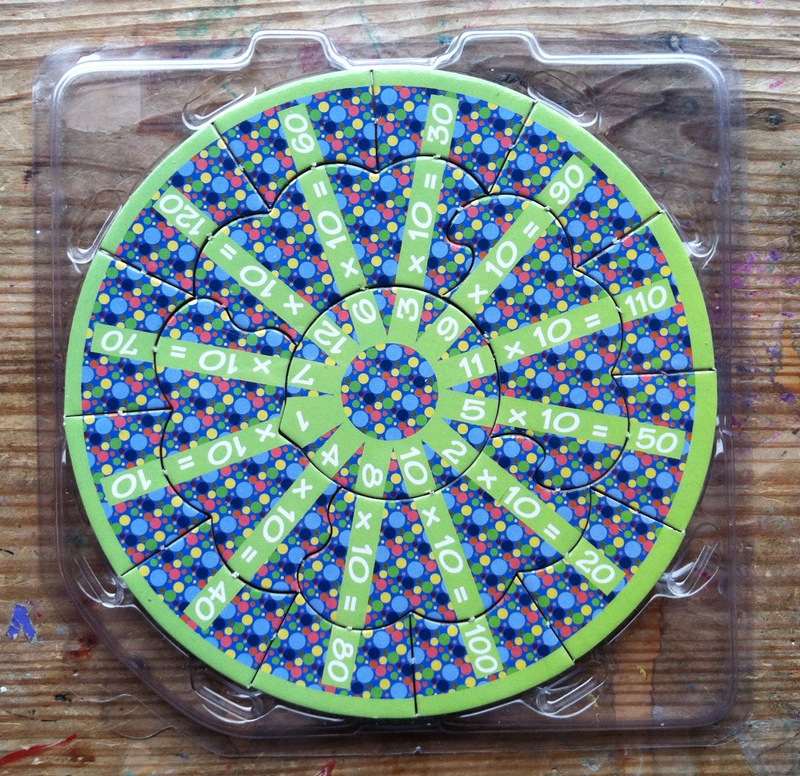 And, although most of my time was spent trying to keep up with my daughter's demand for "more circles!" I still had time to experiment with a snowflake feel. 'Cause, you know half of twelve is six and six is a snowflake. I want to come back to this soon. So, by now, maybe you're itching to get started. Remember, all the instructions are at The Crafty Crow. 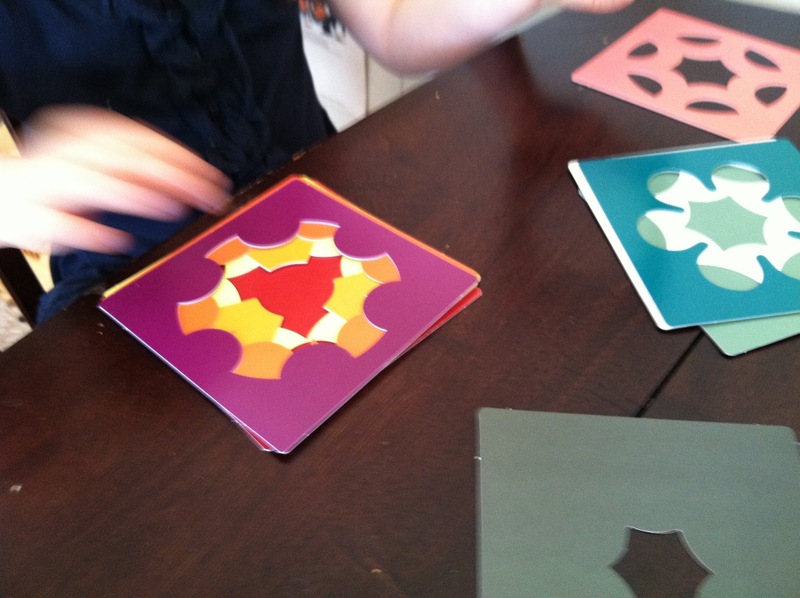 And, remember, both my daughter and I got started by just playing around with the materials. 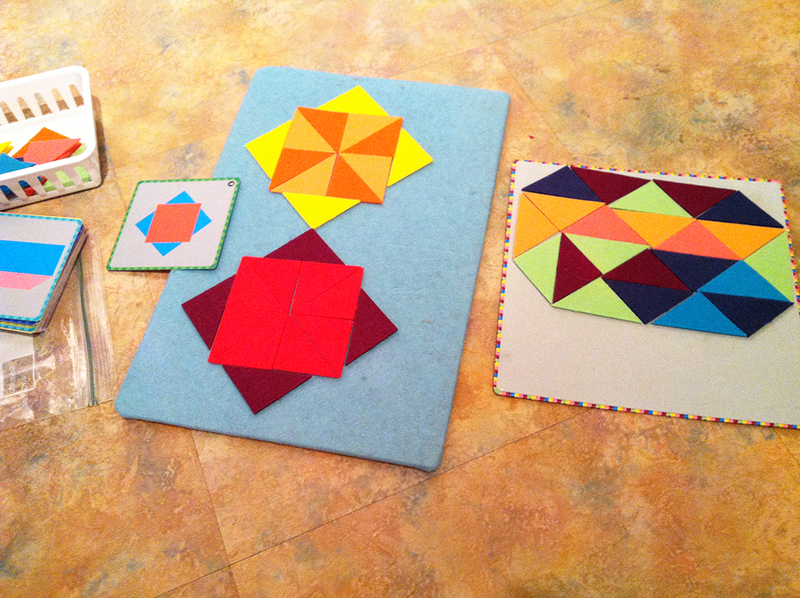 Our first two or three tries each were quickly discarded but the process was incorporated into these darling beauties. Have fun!